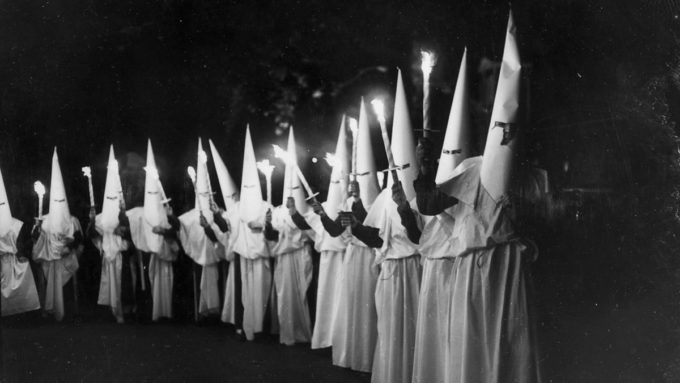 The Ku Klux Klan: How many Americans know about its close historic relationship to the Jewish community? IS IT POSSIBLE that the Jewish community — namely, the same forces that launched the massive public relations campaign portraying Leo Frank as an innocent victim of “anti-Semitism” — had a hand in murdering him? If not, then why did the Jewish-owned New York Times (the flagship of the Frank publicity machine) create the evidently fictional “Knights of Mary Phagan” and position them as wanting to lynch Frank some months before the actual lynching? Was one motivation their fear that the repellent and perverse personality of a released Frank would undo all the good that their propaganda had done for the Jewish people? Was another motive their desire to position Jews as “victims of the Klan” in the public’s mind — even though the Jews of that time can more accurately be described as collaborators with the Ku Klux Klan in attacking Black people? In this, the sixteenth audio segment of this ground-breaking work originally published by the Nation of Islam, part of their series called The Secret Relationship Between Blacks and Jews, we find the most startling speculations and ideas in the entire book. Why did the powerful Jewish groups, who had launched their own investigations of the case and who had been screaming from the nation’s editorial pages for a new trial for Leo Frank, suddenly fall silent when it came to investigating and pursuing the lynching party who killed Frank? Why, even today, are the Jewish connections to the Ku Klux Klan downplayed to such an extent that they are almost unknown to the public? We at The American Mercury are now proud to present part 16 of our audio version of this very important book, read by Vanessa Neubauer. Simply press “play” on the player embedded above — or at the end of this article — to hear part 16 of the book.